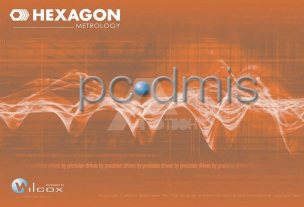 PC-DMIS BASOC and PC-DMIS PREMIUM are high price performance ratio software series specifically developed by Hexagon for general coordinate measurement users. PC-DMIS BASIC : PC-DMIS BASIC, with comprehensive intellectual measuring functions, is simple and fast, rendering accurate and efficient inspection of various complex components. Quick start interface Follow prompted instructions, execute probing system management and application, part coordinate management and application and construction of geometric features, tolerance evaluation, etc. Powerful evaluation of from and position tolerances, including : straightness, flatness, circularity, cylindricity, conicity, as well as various complex curve plane contours, etc. Intuitive and exquisite interface window, entertaining your eyes at work powerful feature construction function : up to 14 categories, including projection, intersection, mirroring, best fit and error revision, tangency. Parallel, perpendicular, combination, movement, rotate, deflection line defection scale and taking the original point as construction datum etc. Flexibly solve the measuring tasks with missing features and complex features.